Dr.Afshin Shorofi has attained his PhD from Flinders University of South Australia, where he subsequently started working as a Research Associate in Health Care for Older People. 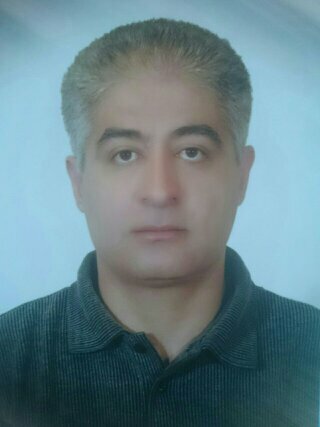 He is currently an Adjunct Research Fellow at Flinders University (Australia), and an Assistant Professor at Mazandaran University of Medical Sciences (MUMS-Iran).In addition, Afshin is the deputy head of the Traditional & Complementary Medicine Research Center and the Center for History & Ethics Studies at MUMS. Afshin is holding adjunct academic positions in two research centers at MUMS, Traditional & Complementary Medicine Research Center and Orthopedic Research Center. He is nationally well known for his publications so that he has published 17 books in the fields of Nursing, Midwifery and Medicine irrespective of his papers in peer-reviewed journals. Afshin is also serving severalwell-reputed journals as an editorial board member or editorial advisory board member. Afshin has been awarded prizes and honors for teaching excellence, outstanding research and overall academic achievement. Mozafari O, Shorofi SA, Shirzadi MR,Yosefi SS (2016), “Cutaneous Leishmaniasis Treatment in Persian Medicine”, Iranian J Publ Health, In Press. Mozafari O, Shirzadi MR, Shorofi SA, Mozafari A (2016), “Crimean-Congo Hemorrhagic Fever in Traditional Persian Medicine”, Iranian J Publ Health, In Press. Bagheri−Nesami M, Shorofi SA, Nikkhah A, Espahbodi F (2016), “The Effects of Aromatherapy with Lavender Essential Oil on Anxiety and Depression in Haemodialysis Patients”, Journal of Nephropathology, In Press. Shorofi SA, Jannati Y, Roohi Moghaddam H, Yazdani Charati J (2016), “The Psychological Needs of Families of Critically Ill Patients Admitted to Intensive Care Units (ICU): Nurses’ and Family Members’ Perspectives”, Nigerian Medical Journal, In Press. Bagheri−Nesami M, Shorofi SA, Jafari A, Khalilian A, Ziabakhsh Tabari S (2016), “The Relationship between Stressors and Anxiety Levels Before and After Surgery in Patients Undergoing Coronary Artery Bypass Graft”, Iranian Red Crescent Medical Journal, In Press. Bagheri−Nesami M, Shorofi SA, Nikkhah A, Espahbodi F, Ghaderi Koolaee FS (2016), “The Effects of Aromatherapy with Lavender Essential Oil on the Fatigue Levels in Haemodialysis Patients”, Complementary Therapies in Clinical Practice, 22(--):33-37. Shorofi SA, Bagheri−Nesami M, Rezaei M (2015), “Effects of Olfactory Mental Imagery on Respiratory Function: A Systematic Review”, Journal of Clinical Excellence, 4(1): In Press. Yousofpour M, Kamalinejad M, Esfahani MM, Iran-nejad S, Shorofi SA, Shams J (2015), “Non-pharmacological Interventions for Depression in Persian Medicine”, TANG [HUMANITAS MEDICINE], 5(4):1-7. Bagheri−Nesami M, Shorofi SA, Hashemi-Karoie SZ, Khalilian A (2015), “The Effects of Sesame Oil on the Prevention of Amiodarone−induced Phlebitis”, Iranian Journal of Nursing & Midwifery Research, 20(3):365-370. Shorofi SA, Karimzadeh M (2015), “Factors Associated With Burnout in Nursing Staff: A Review Article”, Journal of Clinical Excellence, 3(2):56-68. Shorofi SA, Jannati Y, Roohi Moghaddam H (2015), “The Psychosocial Needs of the Families of the Patients Admitted to Intensive Care Units: A Review of Literature”, Journal of Clinical Excellence, 3(1):46-57. Manoochehri H, Azimi Lolaty H, Hassani P, Arbon P, Shorofi SA (2014), “Iranian Senior Nursing Managers’ Experience and Understanding of Social Capital in the Nursing Profession”, Iranian Journal of Nursing & Midwifery Research, 19(5):464-472. Azimi Lolaty H, Bagheri-Nesami M, Shorofi SA, Golzarodi T, Yazdani Charati J (2014), “The Effects of Family-Friend Visits on Anxiety, Physiological Indices and Well-Being of MI Patients Admitted to a Coronary Care Unit”, Complementary Therapies in Clinical Practice, 20(3):147-151. Jafari H, Mohammadi E, Ahmadi F, Kazemnejad A, Shorofi SA (2014), “The Experience of Nursing Instructors and Students on Professional Competency of Nursing Academic Staff: A Qualitative Study”, Global Journal of Health Science, 6(4):128-135. Bagheri−Nesami M, Shorofi SA (2014), “Cultural and Socio-Economic Factors on Changes in Aging among Iranian Women”, Global Journal of Health Science, 6(3):145-154. Bagheri−Nesami M, Espahbodi F, Nikkhah A, Shorofi SA, Yazdani Charati J (2014), “The Effects of Lavender Aromatherapy on Pain Following Needle Insertion into Fistulas in Hemodialysis Patients”, Complementary Therapies in Clinical Practice, 20(1):1-4. Bagheri−Nesami M, Shorofi SA, Zargar N, Sohrabi M, Gholipour-Baradari A, Khalilian A (2014), “The Effects of Foot Reflexology Massage on Anxiety in Patients Who Have Undergone Coronary Artery Bypass Graft Surgery: A Randomized Controlled Trial”, Complementary Therapies in Clinical Practice, 20(1):42-47. Manoochehri H, Azimi Lolaty H, Hassani P, Shorofi SA, Arbon P (2013), “Non-Traditional Roles of Iranian Senior Nurse Managers in Developing the Profession: A Qualitative Study”, International Journal of Community Based Nursing & Midwifery, 1(4):191-199. Shorofi SA (2011), “Complementary and Alternative Medicine (CAM) among Hospitalised Patients: Reported Use of CAM and Reasons for Use, CAM Preferred during Hospitalisation, and Socio-Demographic Determinants of CAM Users”, Complementary Therapies in Clinical Practice, 17(4):199−205. Shorofi SA, Arbon P (2010), “Nurses’ Knowledge, Attitudes, and Professional Use of Complementary and Alternative Medicine (CAM): A Survey at Five Metropolitan Hospitals in Adelaide”, Complementary Therapies in Clinical Practice, 16(4):229−234. Shorofi SA, Arbon P (2010), “Complementary and Alternative Medicine (CAM) among Hospitalised Patients: An Australian Study”, Complementary Therapies in Clinical Practice, 16(2):86−91. Shorofi SA, Jafari H (2005), Dialysis: Principles and Nursing Care, Salemi Company, Tehran, Iran, ISBN: 964-8760-01-2. Shorofi SA (2004), Nursing Care in Patients with Kidney and Urinary Tract Disorders, Tchehr Company, Tehran, Iran, ISBN: 964-409-159-0. Shorofi SA (2002), Nursing Care in Patients with Gastrointestinal Disorders, Tchehr Company, Tehran, Iran, ISBN: 964-409-134-5. Shorofi SA, Namavar H, Moghadam L (2001), Nursing Care in Patients with Liver, Biliary System, and Exocrine Pancreas Disorders, Tchehr Company, Tehran, Iran, ISBN: 964-409-117-5.